When Kosovo’s first pride parade exploded into the heart of Pristina in 2017, it marked one step in a long and difficult struggle by the country’s LGBTQ community. Created by Kosovar news site K2.0, The Sky Is Turning follows the activists behind the landmark celebration. Filming took place over four months, allowing director Matko Bulent, journalist Venera Cocaj and editor More Raca to piece together the real stories of LGBTQ people living in the country today. The four-part series was awarded the Human Rights Journalism Prize by the Baltic Investigative Reporting Network Kosovo (BIRN) and the Advocacy Centre for Democratic Culture in a ceremony earlier this month. Activists, meanwhile, also took home another victory: holding a second pride festival on 10 October 2018. 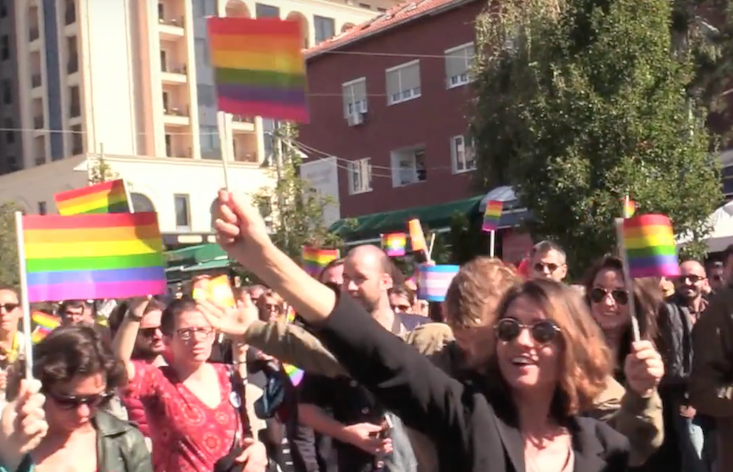 “Kosovo’s first Pride parade in October 2017 marked an important day in the struggle for human rights in Kosovo. K2.0 has long vocally supported LGBTQ rights and this has given us direct experience of the homophobic views that still prevail in our society,” said Besa Luci, K2.0’s editor-in-chief. All four episodes of The Sky Is Turning are avaliable to watch here.